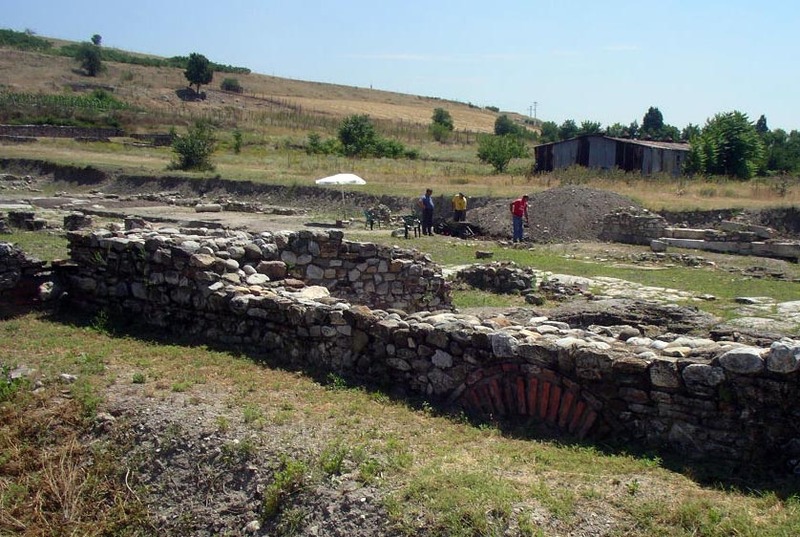 St. Louis Community College students and faculty explored the ruins of Scupi in the Republic of Macedonia during July of 2005. 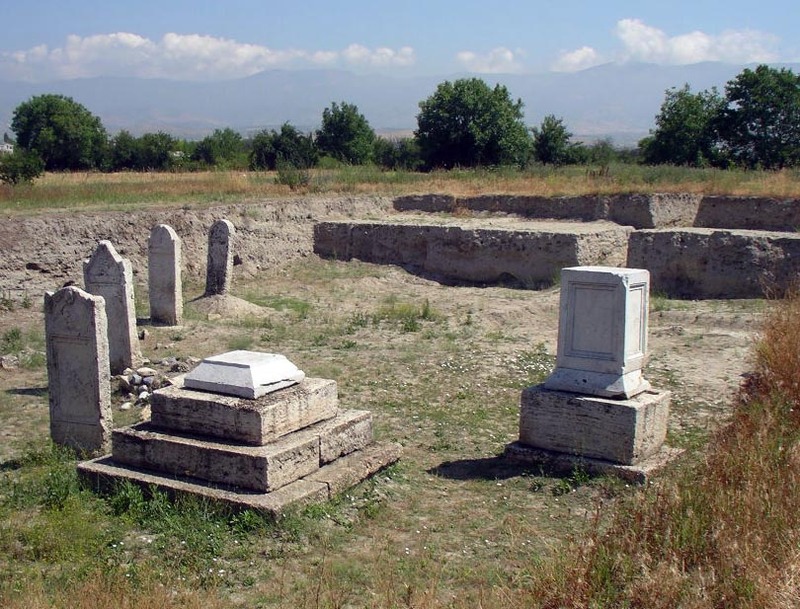 Late Antique tombstones at the site of Scupi. 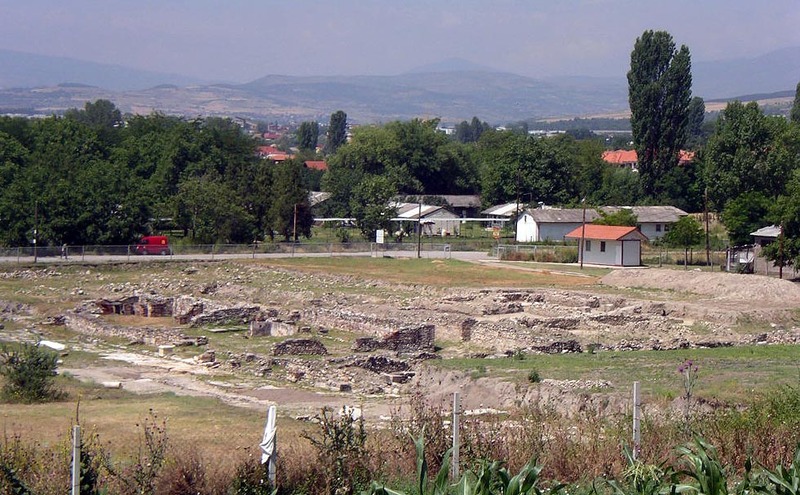 Ruins of a large palace and bath complex at the site of Scupi with the modern city of Skopje in the background. 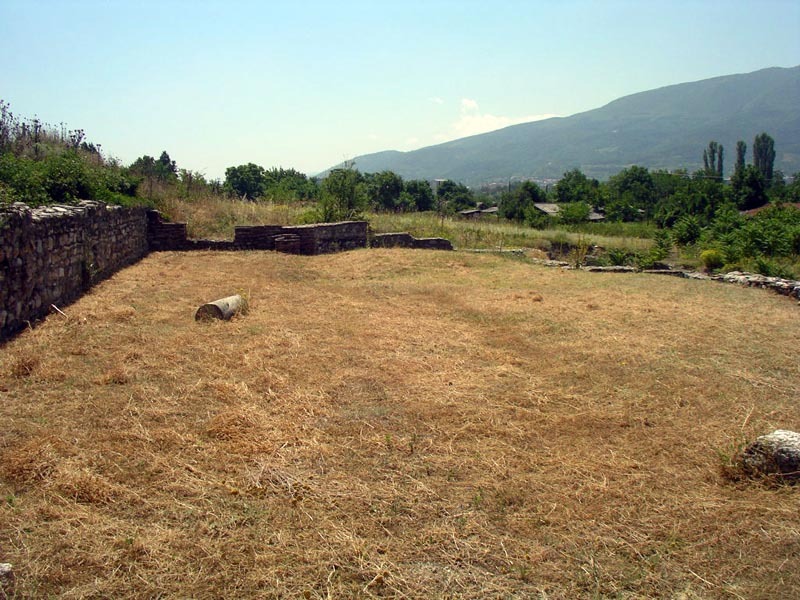 Ruins of the theater at Scupi. 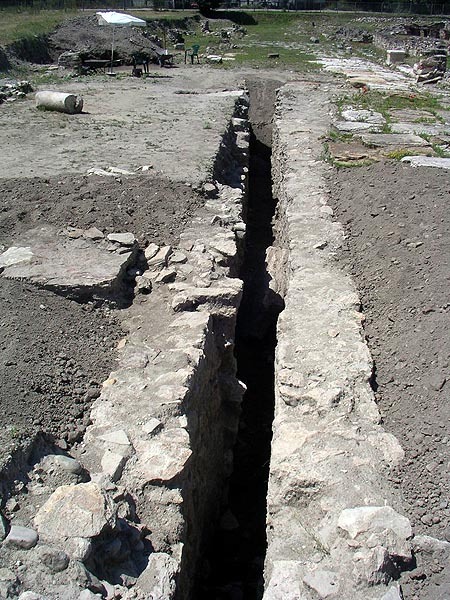 The ruins were investigated by a team of archaeologists from Germany. 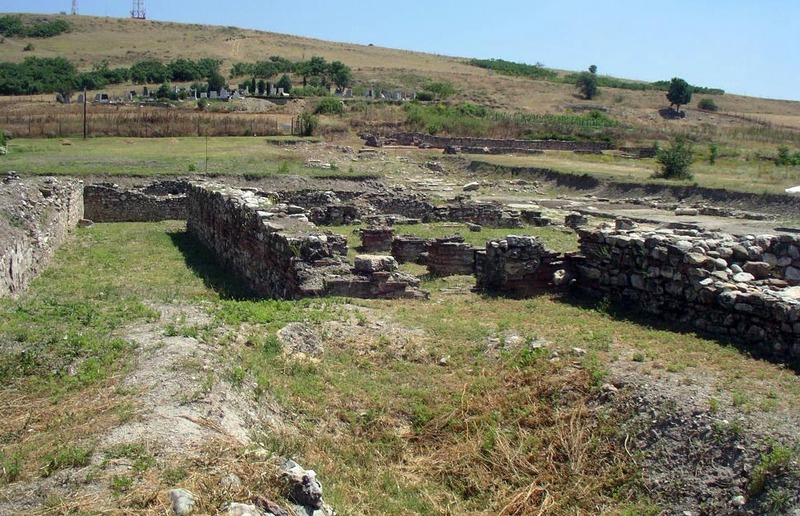 Early Christian Basilica near the city theater. 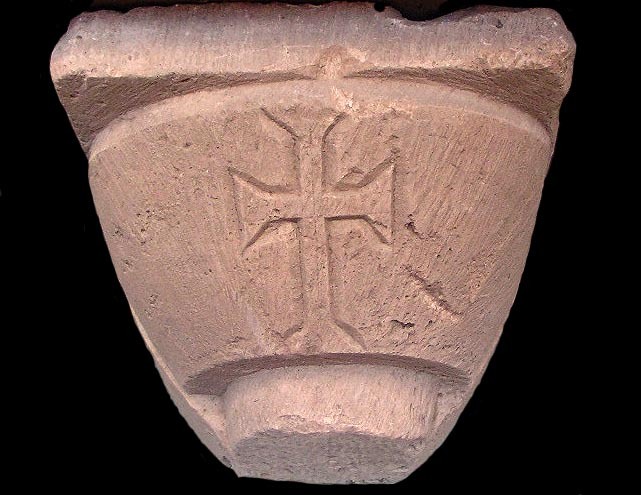 Limestone capital decorated with the design of the cross. Marble panel with Greek inscription found at Scupi. Ruins of Scupi looking upslope towards the city theater. 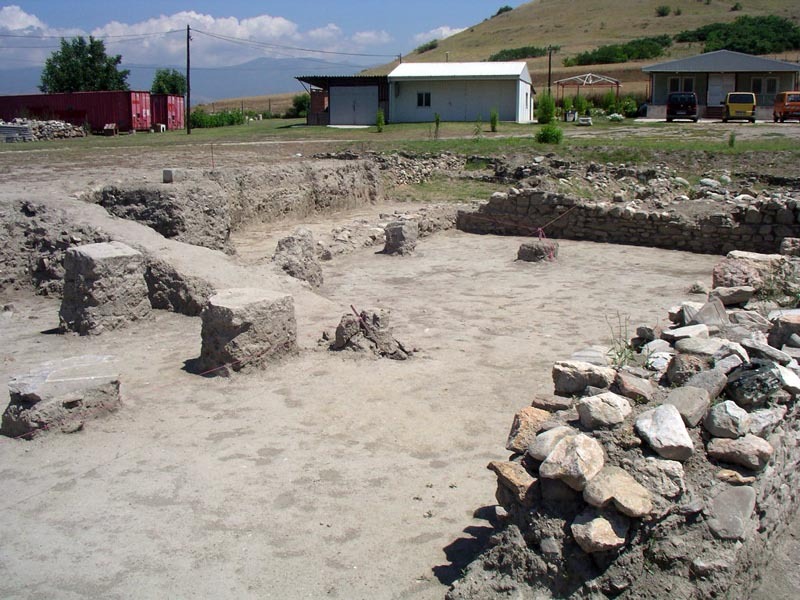 Archaeological laboratory (background) and recent excavation units at Scupi.. Narrow trench testing stratigraphy at Scupi. 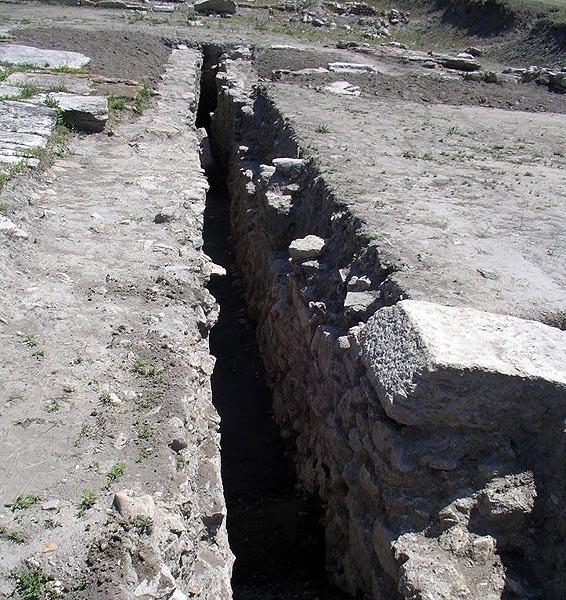 Narrow stratigraphic test trench at Scupi along a Late Antique street. Workmen backfilling the stratigraphic test trench with the city bath in the foreground. 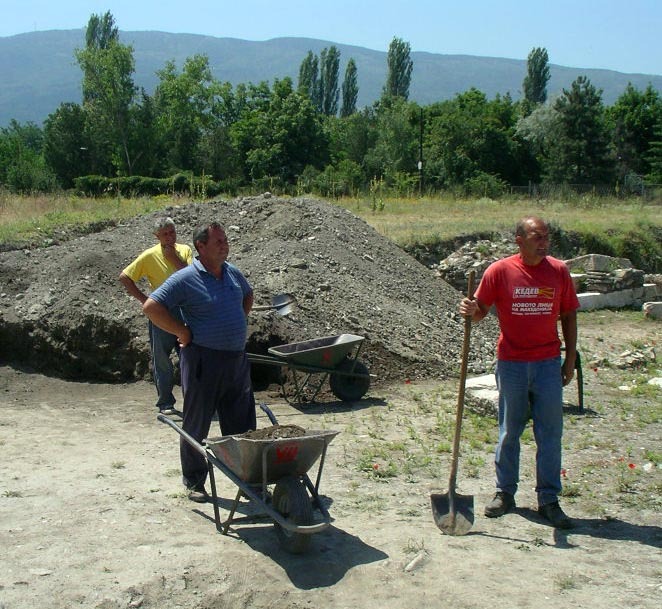 Workmen backfilling the stratigraphic test trench. Roman road of cobbles and compacted clay with the cemeter just to the south of the roadbed. 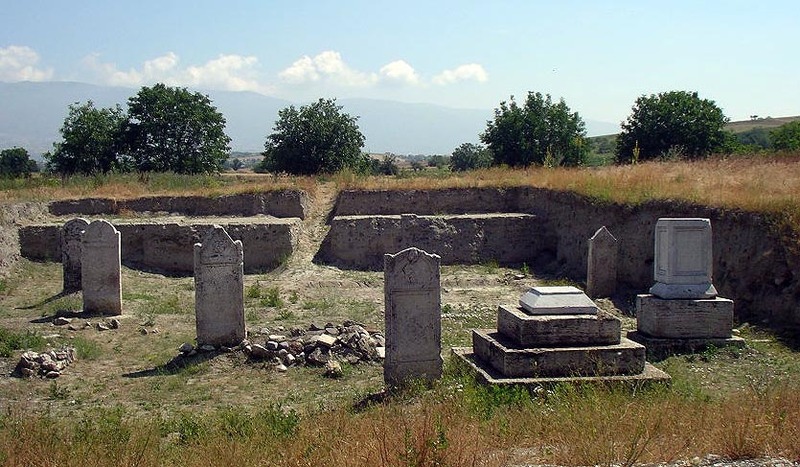 Cluster of Late Antique tombstones along the Roman road. 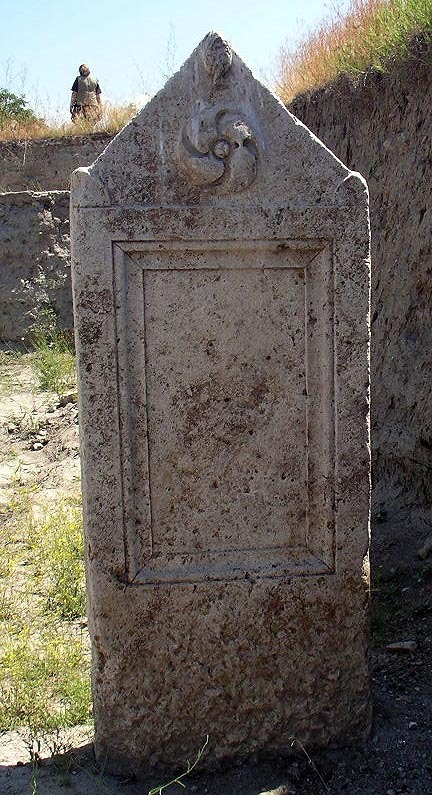 Late Antique tombstone with a penwheel/rosette decoration. 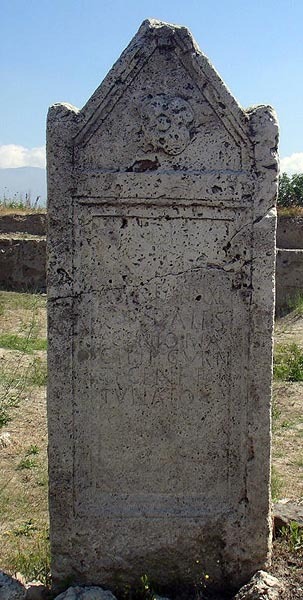 Late Antique tombstone at Scupi with rosette decoration and traces of a Latin inscription. 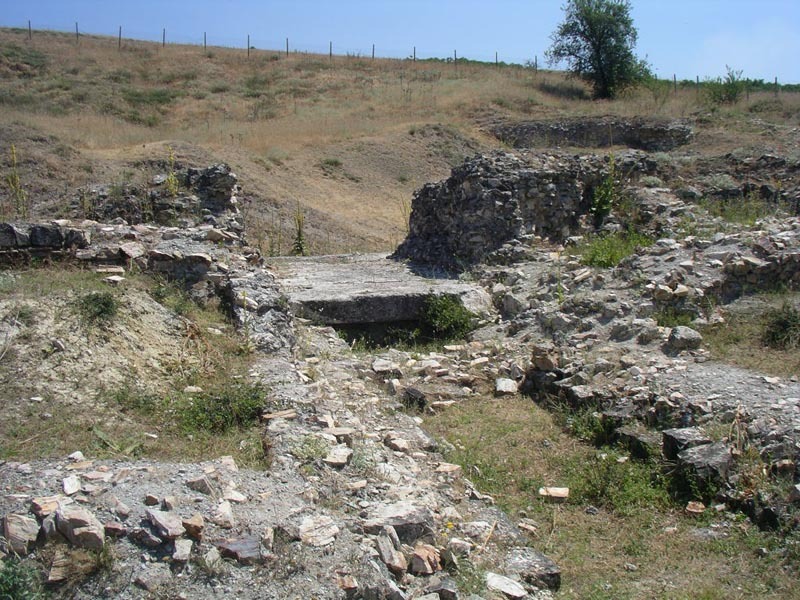 The Roman ruins at Scupi date from the second century BC and were built upon an earlier, Dardanian settlement. 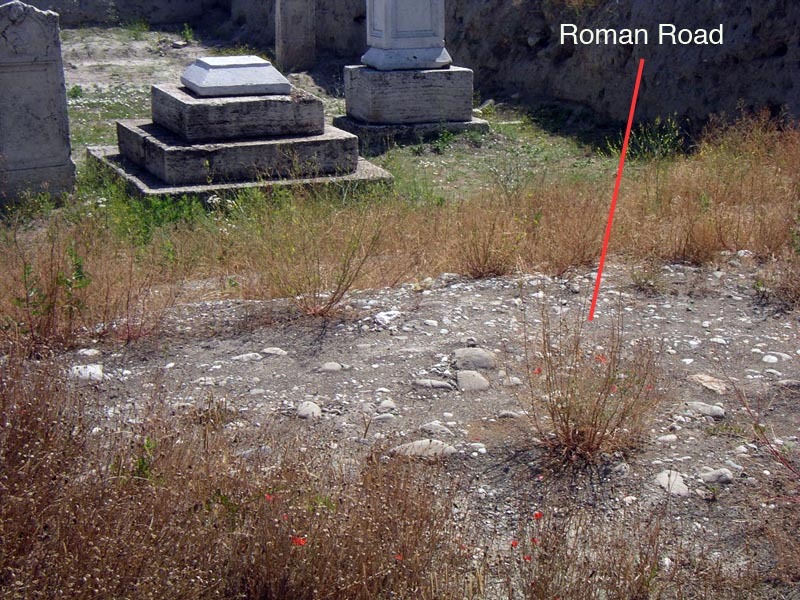 Scupi was designated as Colonia Flavia Aelia Scupi and became the new home for many veterans of the Roman legions. The city was badly damaged by the earthquake of 518, but was rebuilt and reoccupied. Published coins from the Scubi excavations include follis of Anastasius minted in Constantinopolis (AD 512 to 517), follis of Justinus I minted in Nicomedia (AD 518 to 522), follis of Justinianus I minted in Constantinopolis (AD 527 to 532), follis of Justinianus I minted in Cyzicus (AD 551 to 552), half-follis of Justinianus I minted in Thessalonica (AD 563 to 564), and a half-follis of Justinus II minted in Thessalonica (AD 574 tp 575). 2001 Scupi in the 6th century through movable material (coins and pottery). Macedonian Heritage 17:70-81.